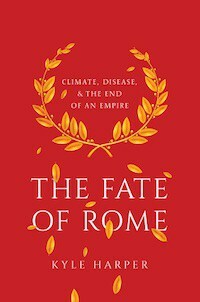 You may read in one chapter that the Christian Visigothic nobility maintained its power and landholdings under Arab Muslim rule, but in the next chapter Kingdoms of Faith outlines how these families were either dispossessed of their property due to their marginalization or converted to Islam to join the new ruling class. Religious identity can both be fluid and liminal, and, be extremely important in organizing social groups and arranging a cascade of status. I state “Arab Muslim” rule here specifically because one of the things you will notice in Catlos narrative is that ethnicity was extremely important for the Muslims. You may have read that non-Arab North Africans, who we call Berbers, provided the muscle for the Arab Muslim conquest. This is true. Catlos’ narrative makes it clear that during the golden age of Al-Andalus they had a role, but as a subaltern people. Though the last great Caliph of Al-Andalus, Abd al-Rahman III, was mostly of native Iberian blood (he was related to the Christian monarchs of northern Spain), even in the 900s, over 250 years after the conquest, the commanding heights of the ulema remained the preserve of aristocratic Arab families with roots far to the east. 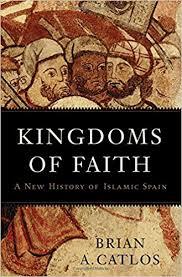 Kingdoms of Faith tells a story of Muslim Spain which reminds me quite a bit of Muslim India: these were frontier lands where there were great opportunities for wealth and advancement for young people of promise. Al-Andalus glittered in part because intellectuals drifted west from Baghdad, while a steady stream of fresh troops migrated north across Gibraltar. The initial decades after the conquest were characterized by accommodation between the small Arab elite, their somewhat larger Berber tribal subordinates, and the mass of the native Iberian population. But after 800 the culture and society of Al-Andalus seem to have fractured, with elite urban Muslims looking to motifs and models to the east, the heart of Islam. The Arabicization of even Christian Iberians (“Mozarabs”) seems to have accompanied a broader integration of Al-Andalus with the rest of the world of Islam. This brings me to the question of numbers. Catlos emphasizes early on that the number of Arabs and Berbers who conquered Visigothic Spain were small. And, he states that a substantial number of later Muslim notables were clearly of Iberian stock (their Arabicized names still indicate Latin ancestral surnames). But the immigration and ethnic diversity and division of the elite of Al-Andalus seem to contract the author’s original assertion. Migrant Muslims play far greater than their fair share centuries after the initial counqest. The new paper, The genomic history of the Iberian Peninsula over the past 8000 years, seems to confirm that though North African and Levantine settlers were never predominant in Iberia, they left a substantial stamp. A minority of the ancestry of southern Spain to this day probably dates to elements which arrived with the Arabs and Berbers, though a smaller minority than was the case during the period of Muslim rule. If the latter is true, then it also attests to the fact that strongly segregated groups of Arabs and Berbers persisted rather late in the history of the peninsula, and that these groups were most strongly adherent to the Islamic religion, and were the ones most likely to have migrated or been expelled. 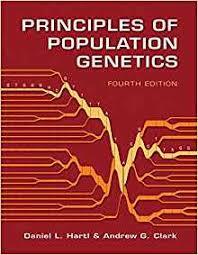 Related: Patterns of genetic differentiation and the footprints of historical migrations in the Iberian Peninsula. When Ibn Abd Rabbih compiled “`Iqd al-Farid”, he stocked it full of stories he’d collected from Umayyad… Damascus. And also from Baghdad. Olalde 2019 couldn’t make sense of the Muslim samples from Medieval Granda Spain. There’s lots of different plausible ways to explain the data. All the Muslim samples come from Granda. What is weird, is pre-Islamic Roman-era samples from Granda were very similar. They too had lots of Berber ancestry (*none of them have BedouinB/Arab ancestry). This leaves room for possibility, the Muslim-era samples from Granda were natives. Olalde 2019 hypothesized, that Granda Muslim samples are representative of most of Muslim Spain. Therefore, they concluded modern southern Spanish largely descend from Christian re-settlement from the north. I dis agree. Most of Muslim Spain, was probably similar to Iron age Iberians. Some modern Spanish have 10% Berber ancestry. They are slightly closer to the Granda Muslim samples than to Iron age Iberians. This leaves, room for possibility some Spanish have a lot of ‘Muslim’ ancestry (Muslims were mostly Iberian). I myself descend from Southern Spanish stock from Granada (my father’s from a village in the Alpujarras, site of the last great Moorish rising, and a distant descendant of Northern Spaniards sent there as part of ethnic cleansing in the 16th centurt). My impression, having lived for decades in Spain, is that the Arabic/Berber cultural/ethnic residue exists, but it’s often exaggerated. One example: there is no way to tell northern Spaniards (presumably, with little to no African/Asian ancestry) from Southern Spaniards by looks alone. In fact, some of the most famous northern Spanish peoples, like Basques, are olive-skinned in complexion, on average. Even Jordi Molla, a blue-eyed Catalan actor, ended up playing Latin American gangster types in Hollywood movies. If I had to guess, I would say that the estimate in The Myth of the Andalusian Paradise, a book that Razib knows, about the impact of Arabic in the Spanish language closely mirrors the impact of gene flow into the modern native Spanish population: as author Dario Fernandez Morera writes, only about 6% of words in modern Spanish are Arabic in origin. david, probably close to 10% in the south/west. closer to 0% in the basque country/northeast. at least that’s what the latest genetics shows (see the link at the second paper). but 6% is not unreasonable genetically. Does Brian talk about the Andalusian/Iberian “Shu’ubiyya”?